People today refer to their phone or orher electronic devices for telling time. 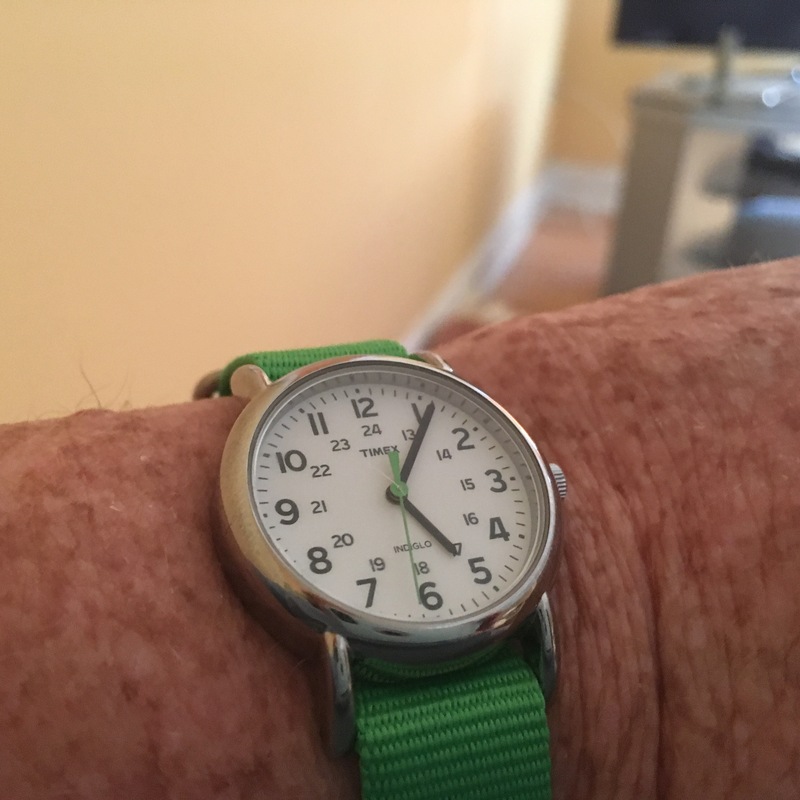 Well, my allegiance goes to my Timex Indiglo, which was my buddy whenever I was in the hospital for chemo. There was nothing, IMHO, than being awake at 1 or 2 am and not being able to see what the time was. That is why I had an Indiglo. Now, fast-forward 30 odd years to a new city and state, and try finding a new battery without traveling 10 counties over. Oh sure, I can go into beautiful, touristy Cape May, where the battery will be as low as $10 or high as $20.Seriously. I found a battery center right by my school, and it is right up my retired alley:$5 for a Timex watch battery. Nice to see the old folks like me can catch a break,at least once in a while. I have several watches – we are NOT OLDER THAN DIRT! We stock up on the basic watch batteries at Walmart or grocery stores and replace them ourselves. They usually cost $3 or so – for those of us who are still thrifty 😉! Wow… Our Walmart doesn’t carry them… I just feel older than dirt because you ask some or some one asks the time and I’m usually the one with a watch- the rest check their phones… Lol..